Rev. 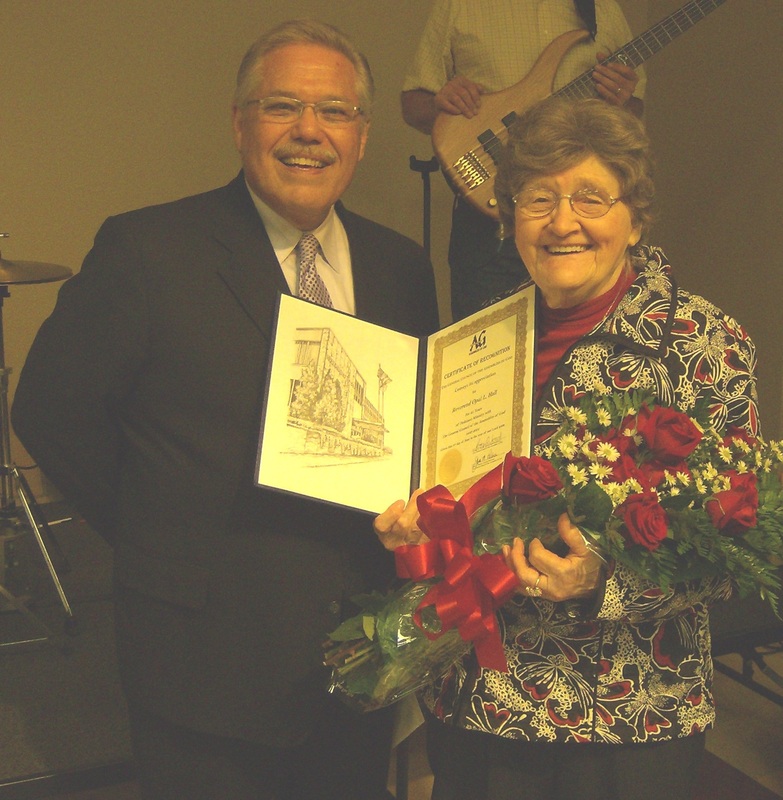 Opal Lesher Hall of Red Oak, Texas, who has been referred to by many as the official poet laureate of Oak Cliff Assembly of Dallas, Texas over the years (so named first by OCAG pastor David Godwin), is celebrating sixty-five years of ministry, and is being honored by the Assemblies of God. She was ordained on July 15, 1943. Greetings in the Lord! I recently learned that on July 15, 2008, you will have been an ordained minister for 65 years. That is indeed a milestone that few, if any ever reach. It is a joy for me to take this occasion to salute you for the sterling service you have given to The General Council of the Assemblies of God. Please accept this letter as a small token of the esteem the General Council has for you for your dedicated and faithful service to the Kingdom of God and the local church. Your ministry represents many years of dedication to the Lord which has contributed to the growth of the Assemblies of God. Your faithful service is deeply appreciated. We esteem you highly! Jesus told us that the Heavenly Father knows us so intimately that he numbers the hair on our heads. That wonderful word from the Lord tells us that He has watched over the endless hours and days you have served him, and that he will also watch over you in the days to come. Photos: Rev. Opal Lesher Hall receives flowers and congratulations from Dr. Tom Wilson, and a beautiful certificate of appreciation from the General Secretary’s office. In the lefthand photo are Dr. Tom Wilson at the podium, church member Doris McNellis presenting flowers, daughter-in-law Andrea Hall, and Rev. Opal Hall. On the right is Dr. Tom Wilson, with Rev. Opal Hall holding the certificate of appreciation. Born December 22, 1915, Opal felt as a young girl growing up on the Lesher family farm near Cavalier, North Dakota, that she had a calling to preach, and always considered it “life’s highest calling.” She grew up in a family of thirteen siblings, all of whom had to help with the work on the farm. Still feeling the call upon her life as an adult, she left to attend Glad Tidings Bible Institute (now Bethany University in Scotts Valley, CA) in 1939, where she met her future husband, Rev. Oliver Hall. She graduated before he did, and she took off with a ladies evangelistic team touring the country until she and Oliver married in 1941. Photo: Opal and Oliver Hall as they were first stepping out into the evangelistic field in the mid-1940s. The Halls eventually decided to pastor and pioneer churches in Missouri, California, North Dakota, and Texas, but Opal’s love for evangelism never left. Her husband felt the need to plant roots somewhere, and often quoted, “A rolling stone gathers no moss.” Often, over the years, she was called to various churches to hold children’s revivals. She was known for her stirring stories and use of puppets, some of which she used her children to operate, in order to get them also involved in the ministry. 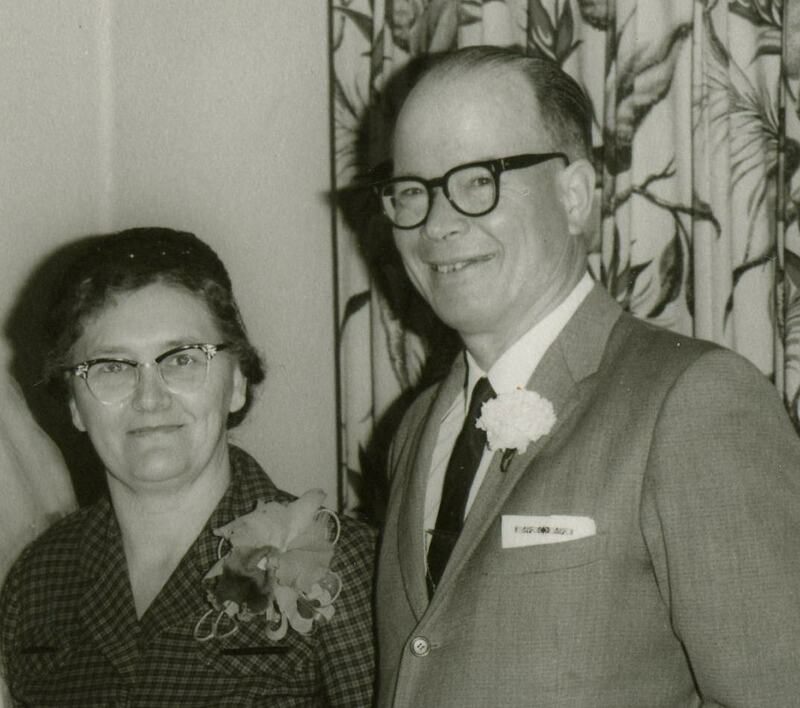 Oliver and Opal decided to go back into the evangelistic field in the mid-1960s, traveling to many smaller churches in the surrounding areas around Dallas. They carried with them one of the films produced by Lester Sumrall, and also promoted and raised funds for his ministry for a time. Foremost remembered from Opal’s kid’s crusades, were her stories of Billy and Betty, a series of children’s stories telling the gospel story in a manner that children could understand, which she later collected into a booklet. Two of those stories were used much by children’s evangelists across the country in the 1960s. Photos: On the left: Opal and husband Oliver in the mid-1960s. On the right: Rev. Opal Hall photographed with her children during family Christmas celebration 2007. After the death of her husband, Rev. Oliver Hall in 1968, Opal continued to faithfully raise her children by herself, and she saw all six of her children attend college. She continued to minister through teaching, home prayer groups, occasional evangelism, constant prayer, and the writing of almost a thousand poems and hundreds of songs, some of which have been published. One of her latest published works was the well received “Prayers from my Heart,” a collection of inspirational prayers, which she had published at the age of ninety. 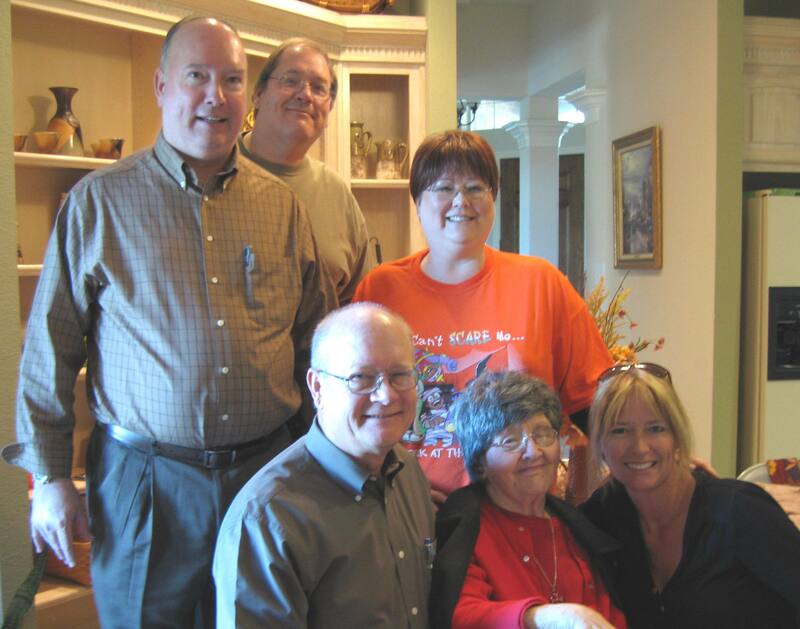 In 2007, at ninety one, Opal published another book of her poems entitled, “The Garden of Hope.” Sister Hall is still greatly enthused for the gospel, and plans on publishing as many of her works for God’s glory as she can, until the Lord calls her home. hello, sister hall, congratulations. I am so proud of you and honor to pray with you all the time. I love you!! I am so greatful that you are part of Velo. Thank you for everything you have done and your prayers. You deserved this award!!! Congrats again. Sister Hall, thank you for your life’s work and example and for your constant joy and laughter. I cannot think of one other person I would rather have praying for me. I pray you are blessed with an additional 65 years! May the Lord continue to bless you as you bless others. Congratulations! God Bless you, 65 faithful years in the ministry of Jesus Christ. I really feel like kid preacher, called into the Ministry only 41 years ago, from the North Texas District, Fort Worth Texas. Like Caleb–your still prime, to take the Mountain, by the power/Spirit of our Great God in Christ.